No business today can run without their IT services and hardware in place. No matter what industry, they are the tools of the trade. The challenge for many businesses is that their ‘tools’, from mobile devices to in office hardware, have now become the source of risk. Being able to detect threats and vulnerabilities ahead of time is the best solution. Essential tools like virus and malware protection, intrusion protection, and intrusion detection will greatly reduce the risk of security threats. Access the endpoints (ie, the devices) on your network in real-time. Controlling the situation and having the skills and access to react and respond. No matter the situation, at Affant we pride ourselves on creating the solutions you need without hidden costs. Our one-fee guarantee is the cornerstone of our business. We will take care of you, no matter the situation, without additional costs for labor and time. Third party not offering hardware support? Need to setup a security response plan? No problem. No matter the security threat your business is facing, Affant is on your side. Thankfully, most IT security solutions are quite simple. The key is the constant attention and monitoring of employees devices, and IT systems in your business. 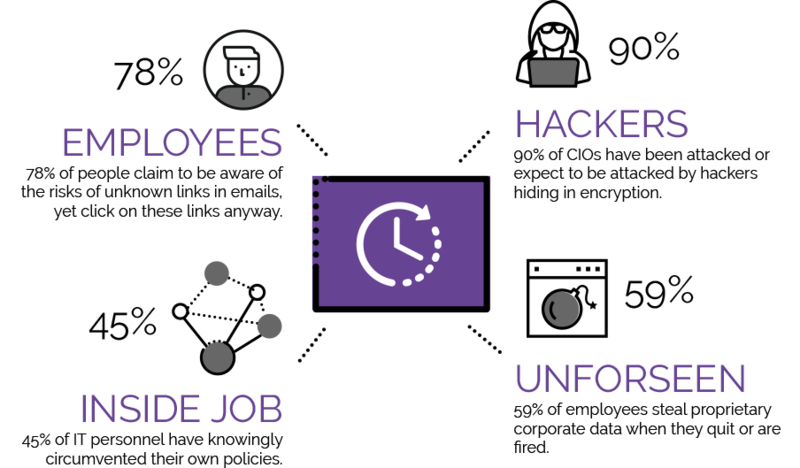 At Affant, we focus on proactive monitoring, which means we check in with your devices once-a-minute to make sure everything is secure and functioning. This means we can see the problem if it hits and control the situation. While nothing you do can offer 100% protection, you can greatly reduce risks with a Managed Service Provider like Affant. Many companies today work to prevent intrusions, but no matter how much money you spend, there are always vulnerabilities and risks of zero-day exploits. More than half of security attacks are carried out by insiders, with many being malicious and intentional. While you want to trust your employees, there must be protocols in place that protect your business. Investing in cyber defenses helps to incorporate early detection of anomalies, including those which could originate from inside your business. With 21 years of experience managing thousands of devices, Affant can apply a tailored security solution for your software and devices to give you the protection you need. Companies look to us for ongoing guidance, and constant support. Through vigilance and awareness of current trends we are able to preempt many emerging threats. Affant can tailor IT security solutions to fit your needs. We can work with your existing security platforms and systems. Our security professionals can provide an assessment and design a customized solution to fit your unique situation.